Over the past few decades, we’ve done amazing things with software. We created the bit and taught it to dance but no sci-fi fantasy is complete without some hardware. Things like light-sabers and warp drives are the dream of every geek and while we won’t be whizzing through space battling the empire anytime soon, we can still placate ourselves with things like these. If you hadn’t heard yet, Google made a car that uses a combination of radar, cameras and laser range finders to detect its surroundings, maps to know where it is and artificial intelligence to make sense of everything and navigate. Originally, the spark that lead to developing this project was a series of challenges issued by DARPA. Many major universities participated and after some promising demonstrations were made, Google brought together some of the different participants and took the project to the next level. Since then it has become legal for these cars to drive on the roads of California, Florida and Nevada and they’ve logged 300,000 miles without accidents. If you tried it out today it would likely do a very good job of driving you provided normal conditions, just ask the blind man who took it for a test-drive but it’s the abnormal that worries people. Google doesn’t plan on releasing it until they have precautions in place to reasonably protect drivers from any unanticipated situations. 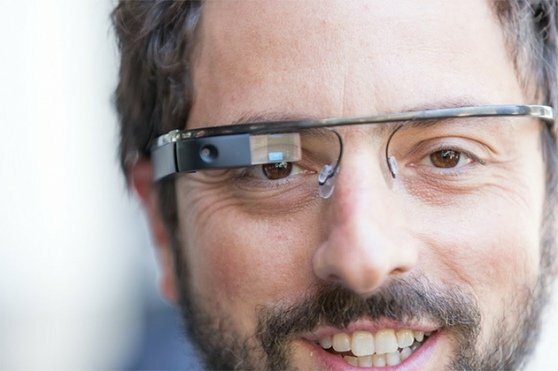 Glass is Google’s famous foray into augmented reality. Essentially it’s a small computer with specs similar to those in your average smart phone attached to a pair of glasses. It has an internet connection and GPS, takes input via motion sensors and voice commands and the screen lies slightly above your eye so it’s not too obtrusive. It’s a vision of a world where technology starts to integrate into our lives more seamlessly. So far, all anyone’s seen outside the concept video is that you can stream what you see to others via the internet. If that was all there was to it then it wouldn’t be anything particularly exceptional however you’ll soon be able to judge for yourself as it’s available for developers to play around with and they’re anticipating a release by 2014/15. For a company that made it’s fortune off of software, Google play around a lot with hardware. Aside from the famous Nexus phones, there are some other very interesting pieces of tech coming from the search giant. The Nexus Q is one very curious project that to the disappointment of many techies has been shut down. The idea behind it was that it would simplify sharing media with friends and streaming it to your home devices. All your music, movies and photos are stored online and you use an app on your phone to choose what you want to see or listen to and which screen/speakers to send it to and the Q mediates. What makes this different from connecting directly with your phone is that you can have a shared playlist, so if you’re having friends over they can add things to the list from their own devices (this video explains it better). It got scrapped due to various criticisms, mainly that the price was a little steep given the functionality. However, despite its flop, the Q still tried to re-imagine how we control our media and had some features with a lot of promise. It’s not hard to picture an enhanced iteration of the product coming out to redeem its predecessor. Google changed how we use the internet, so why not how we access it? Recently, the company announced that they would set up an experimental fiber optic network by the name of Fiber in Kansas City. 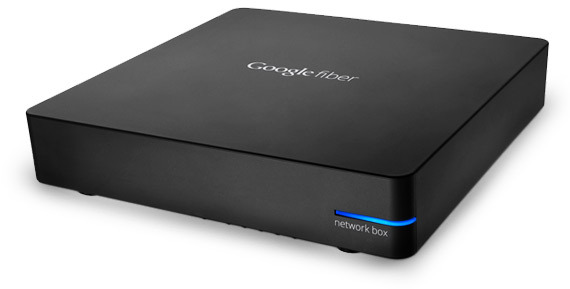 This experiment would give the community the option of 1Gb/sec internet at $70/month ($120 if you want HDTV). This isn’t the first time internet this fast has existed but the prospect of it being mainstream is exciting. Not just because you could have super-fast downloads and no more buffering but because individuals in the community who don’t want the full package can have normal internet free of charge (except for the one-time construction fee). Although, it probably wouldn’t be nice to be the one kid on the block with 6Mb/s. The stuff that goes on under the hood at Google is in many respects a lot cooler than their products. The company has researchers working on various areas in computer science but by far their favorite seems to be AI. You may have noticed recently that when you search, a big box of facts sometimes appears on the right of your results. This is a result of the Knowledge Graph, a sort of second database that groups data into concepts. Normally, when you search you get a list of the pages you most likely want based on a few different factors including statistical information derived from old search logs, keyword indexing and the famous PageRank algorithm. This works excellently but you still have to sift through those results to get the information you want, but what if the search engine did that for you? The Knowledge Graph is essentially an attempt to do just that, make the search engine understand what you want and give you a quick overview of the relevant information. It’s powered by an open source database called Freebase that collects information from various sources across the web and links each piece of information to other related ones in a graph data structure. So for example, one entry in the database has various information about Egypt from Wikipedia, CIA Factbook and numerous others and this entry is connected to entries about Egypt’s Olympic gold medalists which in turn are connected to other entries. When you search for something, Google finds the entry most related to what you’re looking for, parses it for information and displays that information to you along with suggestions of other things that might be relevant. The idea is that eventually, you won’t have to go through pages to find what you want, Google will understand and just give you a straightforward answer. In AI, there’s a technology known as a neural network. Neural networks are simplified models of part of the brain replicated in software; you feed them data and they learn concepts. This is used for image recognition, speech recognition and a lot of other fields. But there’s a limit to what you can make it learn…unless you make it bigger. Google has the resources so they made a very large neural network (powered by 16000 processors) and fed it random images from YouTube videos. The network eventually conceptualized “cats” (which tells you something about the internet but that’s another matter). 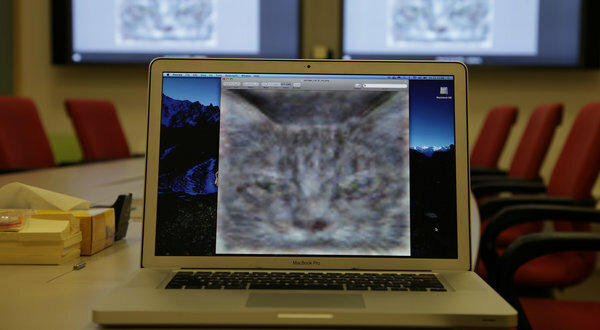 Which means if the network is shown new cat pictures, it will know they’re cats. Are you freaking out yet? To be fair, the technology wasn’t invented by Google, just done bigger and Microsoft is doing something similar with speech. But in general, this means that eventually you will be able to search for images and Google won’t just look for tags and text in web pages to determine what’s a relevant image; it will take those images and know which ones are the object you’re looking for just as if it was a human. Data surround us at every corner. There’s a lot we could stand to learn from it, it’s just a matter of wading through it all. Which is why every now and then, Google likes to give us a new tool to let us play around with the same data they do. A couple of years back, Google started scanning and uploading many libraries’ collections of books and magazines through Google Books. Some of them are restricted by copyright so you can only see snippets of them online. Others are not and you can read them in their entirety. They number just over 5 million and some of the texts date back to 1800 and since they were scanned with OCR (optical character recognition) the computer recognizes the text and they are searchable. This is not the cool part. Since they are searchable, we can analyze them and learn a lot about how human culture has changed over the past 200 years. So the good people of Google made an app called N-gram viewer that lets you type in a word or short phrase in several languages (it can’t exceed 5 words because of copyright) and see a plot of its frequency in print. So if you search for “God” you’ll see that that word appears much less frequently now than it did 200 years ago and you can see exactly when this started. Why did this happen? What circumstances in history lead to this? These questions aren’t always easily answered but being able to see these trends derived from real data means we can ask the right questions and learn things about ourselves that we couldn’t necessarily see before. One popular data-analysis tool made by the Googlers is Google Trends. If you haven’t heard of it then a) it’s a tool that lets you type in one or more search terms and see search frequencies plotted over time b) go play with it…now. In 2008 after the swine flu ordeal, Google found out through Trends and other tools that some search terms correlated with the flu outbreak and could act as good warning signs so they used that pattern to find all predictive terms and warn people about potential epidemics . This idea of inputting a trend and receiving search terms was so well received that Google released an app that does just that. Correlate lets you input a file describing a particular trend and returns search terms that follow that trend and graphs for each. If you don’t have files like that lying around then you can just type in a term and get terms that correlate with it. So for example, type in “Islamism” and you might expect to see that word correlated with news-related terms and events however the graph shows that searches peak twice a year every year at the same times, which at first glance makes absolutely no sense. Take a look beneath the graph and you’ll notice it correlates well with “mla footnotes”, “social movements” and “endnotes” and the two peaks are in May and December…finals time. Evidently, there seems to be more students who procrastinate than people who follow politics. While you may roll your eyes at how obvious this one is, there’s more to the search functionality than meets the eye. Did you ever consider that you were searching wrong? Obviously, the way the average person searches gets the job done most of the time otherwise Google wouldn’t be so popular. However, the search engine offers a lot of ways to augment your search that not everyone knows about. These can be very useful if you’re a student or researcher. For example, you can exclude results that contain a particular term, filter results by year, search for terms that are highly correlated with your primary search term and search only for specific file types. Mashable have made an infographic that will give you a pretty solid idea of what you can do. Goggles (not to be confused with Glass) is a fairly old mobile app that lets you use an image as your search term. So if you take a picture of a logo, book cover, artwork or even a landmark (among other things) then the app will tell you what you just took a picture of and give you similar images, reviews, articles etc. This is a cool direction to go because its a step towards more natural searching. It’s like having a very knowledgeable friend with you who you can ask “Hey, what’s that thing?”. Although in its current state, it’s a friend who is not always very bright. Person finder- When there are a lot of missing individuals, this lets you search for them and provide information if you’ve found any. People often have to search in all the different repositories that appear online post-crisis for information on their loved ones. The idea is sites reference the app in their html and any info they have becomes reference-able by person finder. Public Alerts- If you’re searching for information about the crisis and alert-mode is on then you will get any important information at the top of your search in a format most useful to you. If you’re an organization with alerts, you can get your information to Google so it shows up when people search. Custom Google Maps- If you have any data about where to get supplies or help, where to assist, where there are road closures etc you can make a custom map with the information overlayed on it, upload it and allow others to add information so anyone who needs help can easily see where to go for it. This was used during the 2010 earthquake in Newzealand. Google Earth- Similar to maps but not quite the same. Shortly after the Haiti earthquake, there was a cholera outbreak. Doctors Without Borders was responding to this crisis and for every patient that was admitted they would mark their hometown on Google Earth and after a while they began to see patterns that indicated what the causes and catalysts of the outbreak might be. Google is undoubtedly an amazing company. Two nerds with a passion for what they do turned a thesis into something much bigger and by gathering like minded people and looking at the world’s problems through technological eyes they’re trying to change the world in more ways than just search. However, as much as I love them Google are by no means perfect and to think they are would be folly at best. So for those of you who’ve been twitching at my fanboy-ism from behind the screen and those of you who want to see the other side of Google, I’ve appended a short list of things they’ve been called out for. Taking Ideas- Not all of Google’s technologies were invented under their roof. Being such a huge company they are acquisitioning businesses left and right. Android was originally designed by someone else, they funded his work and absorbed the product. 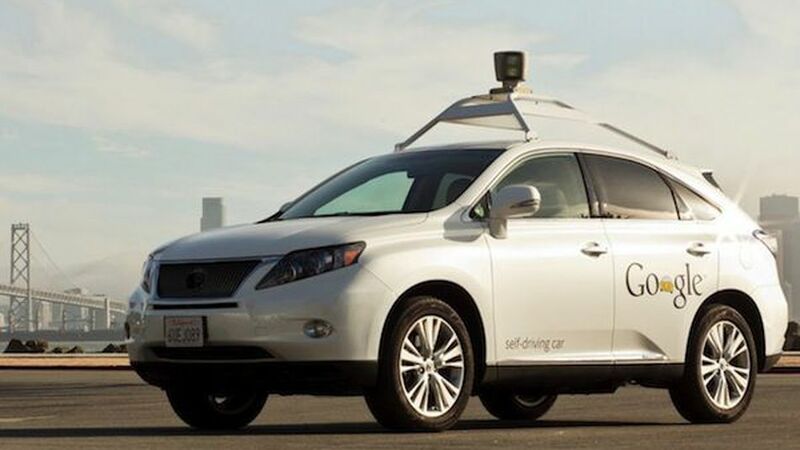 The self-driving car project originally started as an inter-university competition, Google hired the best of the competing engineers and added its own touch. Privacy- Google collects and stores information for your IP address on their servers to improve search results and ads. According to them it’s anonymized but it still alarms some people. This is compounded by the fact that world governments frequently ask Google for data on users and the company can’t always say no. This is perhaps more of a problem with internet legislation but having all your information on their servers probably doesn’t help. More privacy- Google is known to use software that scans email content to produce relevant ads for you. No human reads these emails, but some believe that there should be a red-line when it comes to certain information. Employees- Interviews with ex-employees and reviews on glassdoor indicate that Google isn’t necessarily a perfect place to work as is often thought. It’s said that advancement in the company is very slow and often more based on your connections than anything else. The competitive environment results in people having to work extra hours and attend social events at the company or risk stagnation, something felt more by the older employees who are not given as much preference as the younger ones. There you have it folks! If you enjoyed this, stay tuned for more including posts about my own work. This entry was tagged Computer Science, Google, Tech. Bookmark the permalink. Why Do We Fall, Master Bruce?